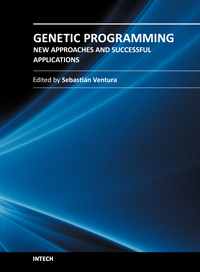 Genetic programming (GP) is a branch of Evolutionary Computing that aims the automatic discovery of programs to solve a given problem. Since its appearance, in the earliest nineties, GP has become one of the most promising paradigms for solving problems in the artificial intelligence field, producing a number of human-competitive results and even patentable new inventions. And, as other areas in Computer Science, GP continues evolving quickly, with new ideas, techniques and applications being constantly proposed. The purpose of this book is to show recent advances in the field of GP, both the development of new theoretical approaches and the emergence of applications that have successfully solved different real world problems. The volume is primarily aimed at postgraduates, researchers and academics, although it is hoped that it may be useful to undergraduates who wish to learn about the leading techniques in GP.